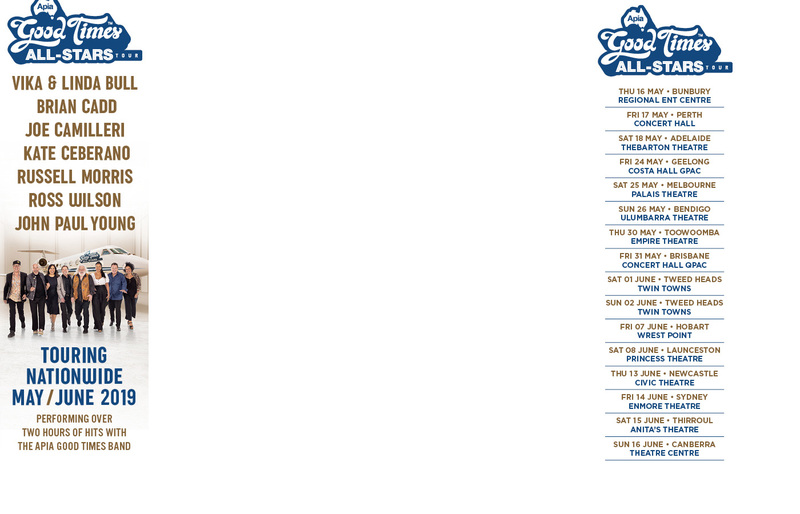 Kenny Rogers says that he will be done after his current tour. Pop star Robbie Williams made his wife give up a dream TV role in America so their romance could have a serious shot. The 2016 APRA Screen Music Awards will be announced in Sydney in November. Crowded House will perform a third show at the Sydney Opera House on the 20th anniversary of the band’s farewell show in 1996. 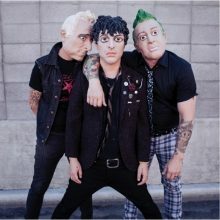 Green Day has released masks just in time for Halloween. Chris Martin hosted his curated Global Music Festival on the weekend and treated fans to some tasty covers from Crowded House and Patti Smith with Eddie Vedder. 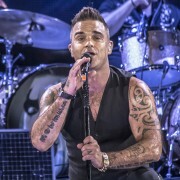 Robbie Williams will release a new album in November with assistance from heavyweight songwriters Ed Sheeran and Brandon Flowers. 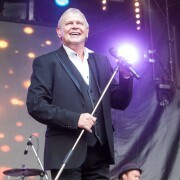 John Farnham will perform a second show for Red Hot Summer at Bribie Island in February. The 2016 iHeartRadio Music Festival at the T-Mobile Arena in Las Vegas came to a big end last night with Britney Spears opening the night and Usher closing it down. In between, the crowd heard short sets from Sting, Tears For Fears, Backstreet Boys, Pitbull, Ariana Grande, Florida Georgia Line, Zedd and Cage the Elephant. Singer Norah Jones calls the music industry “messed up” for young artists as no one is spending money on music anymore. Landing his second No.1 album during his career this week is Anthony Callea, with his stripped back covers album entitled "Backbone" entering at the top of the ARIA Albums Chart this week. Australia is one of ten countries around the world where The Chainsmokers and Halsey occupy the top spot with their song "Closer", which here is holding for a seventh straight week on the ARIA Singles Chart, and is newly certified 3x▲Platinum in sales. 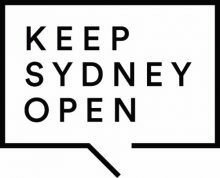 18 high profile Sydney based artists (and a Kiwi) have combined to send a message to the New South Wales government to Keep Sydney Open. 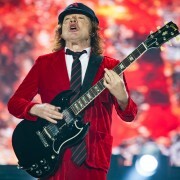 Now that the AC/DC Rock or Bust tour has fizzled to an end no-one knows what the band will do next, if anything. Backstreet Boys singer AJ McLean tells fans to expect their Las Vegas residency concerts to be an "over-the-top" spectacle. Celebrity thug Chris Brown has postponed his shows in Japan after he was denied entry to the country due to his ongoing assault case. Green Day has premiered ‘Still Breathing’, the third song from the upcoming album ‘Revolution Radio’. Justin Bieber narrowly avoided a bar brawl at a nightclub in Germany on Friday night after a male reveller lunged at the singer. Last night was the first of two for the iHeartRadio Music Festival in Las Vegas with U2 and Billy Idol taking the stage and Miley Cyrus joining Billy for 'Rebel Yell'. Louisiana legend Buckwheat Zydeco has died at age 68 after a battle with lung cancer. The Backstreet Boys are heading to Las Vegas for an 18-date trial residency. Glenn Danzig has made it clear that people shouldn't be looking for anything else from the Misfits reunion. U2 star Bono has urged Americans not to vote for Donald Trump at the polls in November because he could be the worst thing that has ever happened to the country. 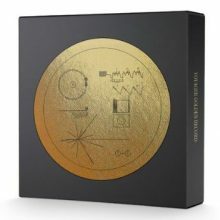 Indigenous music from Australia has been included in a new box set featuring music from NASA's 'Voyager' program. Anthony Callea has ‘pulled a Lazarus’ with his new album ‘Backbone’ debuting at no 1 on the Australian album chart this week. 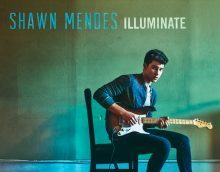 Shawn Mendes ‘Illuminate’ is the fastest selling album of the week based on one-day sales. The Chainsmokers featuring Halsey ‘Closer’ continues to block everything in its path from the number one spot on the Australian chart. The Chainsmokers and Halsey ‘Closer’ just keeps on staying on as the most popular song to stream in Australia.